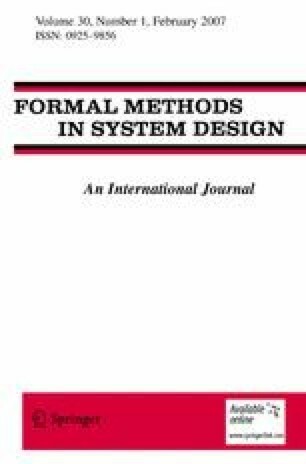 This article presents theLTL-preserving stubborn set method for reducing the amount of work needed in the automatic verification of concurrent systems with respect to linear-time temporal logic specifications. The method facilitates the generation ofreduced state spaces such that the truth values of linear temporal logic formulas are the same in the ordinary and reduced state spaces. The only restrictions posed by the method are 1) the formulas must be known before the reduced state-space generation is commenced; 2) the use of the temporal operator “next state” is prohibited; and 3) the (reduced) state space of the system must be finite. The method cuts down the number of states by utilizing the fact that in concurrent systems the net result of the occurrence of two events is often independent of the order of occurrence.